An engaging forum with a panel of industry leaders and experts from various sectors discussing current economy; SBA updates; how credit is impacting the business community; and available financing programs. Great opportunity to engage and interact with industry experts and city officials to discuss community relations; how community businesses can create common efforts to build stronger relationships; and topics regarding community programs and events. Networking opportunity will follow event. My experience includes 16 years consulting and assisting numerous clients across the country with raising capital and strategy development to sustain or grow their companies. 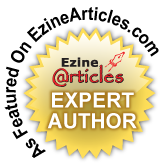 I am widely recognized as an award winning leading expert on business development, strategic planning, and financing. As an Author, Business Coach and National Trainer, I am highly regarded in my trade craft and well respected by higher educational institutions, associations and popular organizations throughout California.